Are you a mom wanting matching pajamas with your baby? Maybe you ware wanting to give a set like this to an expecting mother at her baby shower? What about buying these for your wife on Mother’s Day? There are many options available in different styles and patterns. Shop our popular collection and you will not be disappointed! Have an older child? Consider mother daughter matching pajamas instead! Pamper both with these amazingly comfortable coordinating PJs. For the new mom, a roomy pair of full-length pants with an adorable pastel apple print paired with a dreamy, A-line cami nursing top with adjustable straps. Two layer design at the bust features an interior panel with slits for discreet nursing. Pants have a drawstring waist with elastic back. For the newborn, a pair of adorable coordinating pajamas featuring pull-on pants and a long-sleeved top with lapped collar, blue trim, and pastel apple on the chest (0-3 months). This fabulous nightgown is designed to make you feel gorgeous and comfy whether your are pregnant or nursing. Beautifully cut to flatter your changing silhouette. The front slits allow easy access for breastfeeding. No clips or snaps! The matching romper set looks so cute for first pictures with you as a new mother and makes a great baby going home outfit. This piece comes with the matching newborn hat, is lightweight for comfort and as no scratchy tags. Cuffs fold into mittens to protect your newborns skin. This 5 piece nursing set comes with a robe, pants, and cami as well as pajamas and a hat for the baby. The fabric is soft and the pattern is light pink flowers. This would make the perfect gift! These 100% cotton pajamas are perfect for a new nursing mom and her baby. The pajamas are sleeveless with a lace trimmed V-Neck. They also come with a robe for mom and a matching baby gown. These are extremely comfortable and soft for both. These mommy and me pajamas are just adorable. They are 100% cotton and highly comfortable for both mom and infant. They come in navy/floral and pink/floral for a boy or a girl baby. The set comes with a v-neck nursing top, pants, robe, and gown for baby. This matching PJs set comes with a nursing cami, pants, robe, and a cute little gown for baby. They are 100% cotton and hand or machine wash. Whether your infant is a boy or a girl, blue is always a safe choice! 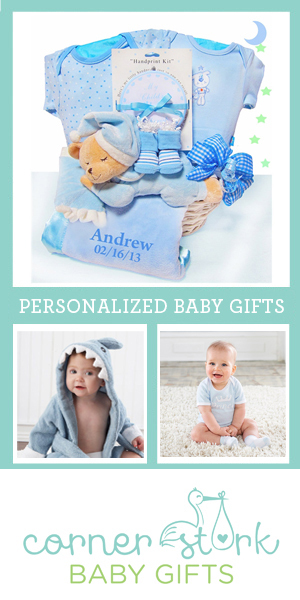 Great for the baby shower gift! These matching pajamas for mom and baby are cream of the crop. In a light blue or light pink, you cannot go wrong. The set includes contrast lace trimmed robe, with a lace trimmed cami, pant and baby gown. 100% cotton and extremely comfortable. This pajama set works for maternity and nursing. It includes elastic waist/ribbon drawstring bottoms, a strappy lace trimmed cami top with nursing access and red satin bow, a coordinating kimono style side tie short robe plus a newborn baby gown. All pieces are 100% cotton. This set makes a wonderful gift for an expectant! This black and white mom and baby matching nursing pajama set features a sleeveless surplice V-neck top with lace details, paired with drawstring pants and sleep robe with waist tie accent. Set also includes matching baby night gown. Baby night gown features piped neckline, long sleeves, and elastic hem. This matching pajama set features a button up top, with cap sleeves paired with elastic waist pants. Set also includes matching baby night gown. Baby night gown features piped neckline, long sleeves, elastic hem. 100% Cotton. Black and White Floral Print. This soft Olian maternity pajama set includes a v-neck nursing top, soft floral pants, a matching floral robe, and a nightgown for baby. They are soft and comfortable for both mom and baby, and come in a cute little matching gift bag as well! These fabulous PJ’s are designed to make a woman feel gorgeous and comfy whether she is pregnant or nursing. No clips or snaps – the pull down elasticated neckline allows for easy access for breastfeeding. This set includes the matching baby romper set.